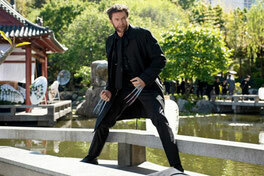 “The Wolverine” is far more than a largely uninspired, boring superhero action film – it’s also an uninspired, boring family drama. While it has its moments, the film never feels cohesive enough to rise beyond strictly passable. For long stretches there’s no discernible reason or understanding behind what we’re seeing. 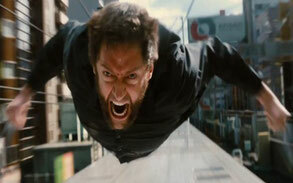 What I like about “The Wolverine” are its modest ambitions. It is not a loud, aggressive doomsday scenario, but more like a standalone serial adventure story. There’s an assumption that you know the basics and can accept them, which is refreshing and more digestible that slogging through an origin story and getting force-fed rules of the larger X-Men universe. There’s an immortal guy who can heal himself, has metal fused to his bones and retractable claws. And killer sideburns. Just go with it. A tonally weird prologue shows Wolverine (aka Logan) – an always effective and engaging Hugh Jackman – saving a Japanese soldier from the atomic bomb dropped on Nagasaki. I feel bad for those other guys who decided on honorable suicide just before Logan swooped in. Back in present day Logan lives as a recluse in the woods, haunted by the death of former flame and fellow X-Person Jean Grey (Famke Janssen). This film may set a record for jolting wake-ups from dreamy hallucinations; the first one even has a nightmare-within-a-nightmare. After proving his love of the Earth confronting thoughtless hunters, Logan is persuaded to return to Japan because Yashida (Hal Yamanouchi), the soldier he saved all those years ago, is dying and wants to “say goodbye.” But of course it’s not that simple. Wolverine is shepherded to Tokyo by Yukio (Rila Fukushima), Yashida’s adoptive daughter, expert swordsperson and clairvoyant who can foretell a person’s death. A quick early display of skills make her appear as formidable ally, but with her striking red hair and unique bone structure, she’s relegated to interesting looking set dressing. Yashida has an obsession with Logan’s condition and offers a solution for his tormented existence in the form of a transfer of mutant power. Logan made mortal and Yashida’s life saved. Win-win. But before any real drama or agonizing over the decision, Yashida unceremoniously dies and Logan is drawn into the family theater involving Yashida’s granddaughter Mariko (Tao Okamoto) - who receives the sizeable inheritance – her father, her soon-to-be-husband who’s a corrupt politician, and her former lover Harada (Will Yun Lee) – a mysterious figure who is part-time protector and part-time antagonist. The trouble with this Yashida clan is loyalties aren’t always clear and seem to shift based on what is necessary to move the plot forward at the time. With all the gangs of Yakuza and ninjas cropping up, there’s never any true sense of drive or inspiration for any actions. Showcasing the worst of the nebulous narrative is Viper (a woefully miscast Svetlana Khodchenkova), who served as Yashida’s doctor but seems to have her own plans to zap Wolverine of his power for no readily apparent reason. Her lines are delivered with all the subtlety of a devious Bond villain and by the time she sheds her skin and eerily hisses in the film’s climax, it’s safe to say she sticks out like a sore snake in an otherwise humdrum affair. Though there is a standout action scene or two – the roof of the bullet train was quite thrilling – the film is an aimless wander to the end that lacks appropriate context, which may be a series of script re-writes rearing its head. It feels as though director James Mangold can’t decide on a tone; save for a few brief moments of levity, it dumps the jovial tenor of other recent superhero films (“Iron Man 3”), and doesn’t go completely morose and serious a la the Christopher Nolan “Dark Knight” universe. We’re left somewhere in the middle with a shapeless drag that fails to connect.